Present day Merrillville, Indiana was once a well-known stop for wagon trains bound for Joliet. At one time, 16 roads (trails) radiated outward from what was then Wiggins Point, and later Centerville. When brothers Dudley and William Merrill arrived, and made their imprint on community life, Centerville became Merrillville. In 1848, a group of settlements, including Merrillville, was collected under the name of Ross Township, and Merrillville was officially incorporated as a town in 1971. 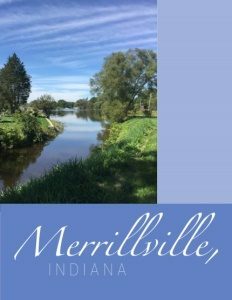 Today, Merrillville is the largest town in Indiana – a city-sized town – that enjoys great diversity in housing, residents, and culture. Its rich business districts support more than 35,000 residents and 12,000 individual households. On any given weekday, the population is estimated to rise to over 100,000 people living, shopping, and working in the town. The slogan for Indiana is “The Crossroads of America,” and Merrillville has one of the major crossroads in the state – US30 and I65. Throughout that corridor, every type of eatery has staked a claim, including big names like Outback Steakhouse and McAllister’s Deli. 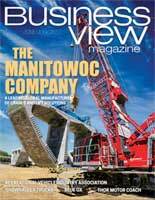 The town relies on commercial/industrial type development, and offers a prime location to bring it in. Dawn Foods is a major employer, as are large manufacturers such as Modern Drop Forge. Merrillville, Indiana is also an award-winning role model for stormwater management and sustainable infrastructure. Matthew Lake, Executive Director Stormwater Utility, came to town from an engineering firm where he was a consultant for stormwater management. He is a fountain of knowledge when it comes to implementing and sharing Merrillville’s innovative programs. “The Environmental Protection Agency (EPA) has regulations under the Clean Water Act,” Lake explains, noting the state requires communities comply with non-point source pollution (stormwater run-off) Best Management Practices (BMPs) by putting in six minimum control measures. “Merrillville has undertaken a progressive approach to low impact development, part of that is green infrastructure. Low impact development incorporates many facets of BMPs to minimize impact to the environment. We defined our utility a bit differently. 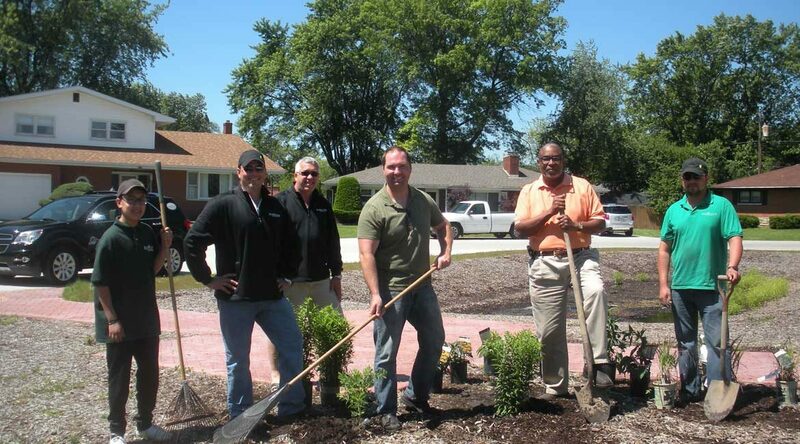 We built the first stormwater resource center in the State of Indiana. Because signage is required for some of these BMPs, it creates a good image for businesses. A CVS that was just built on a major intersection in town already had regional detention that met typical stormwater requirements, but not the low impact development requirements. So, to meet the standard, it added a rain garden at the end of the parking lot, with signage. Now people see that CVS is environmentally conscious and that it’s doing its part. There are ways to save money on a development and still go green. A win-win from the developers’ standpoint, and with the BMPs in place, it’s environmentally conscious. Starbucks is a good example. They are opening a location in Merrillville and constructing an attractive rain garden along the drive-thru, with plants, landscaping, and designated signage. People see they are trying to improve quality of life in the community. That’s really the purpose of the ordinance. Merrillville also does special projects, such as complete redesign of intersections and corridors, incorporating green infrastructure. For its Stormwater Master Plan, it did nine drainage studies throughout the town focused on alleviating flooding; stormwater quality BMPs are included in each of those projects. It is now contemplating no-mow zones with fescues that cut back on maintenance, reduce air emissions, and promote natural plantings along corridors, bike paths, and in parks.